Chitwan Tigers posted the tiny total of 87 runs with the lost of 9 wickets in respective 20 over’s. Winning the toss, Gladiators won the toss and opted to field first and succeed to restrict Tigers in the miniaturised total of 87 runs with the help of excellent spells rom their Skipper, Vesawkar. Sharad Vesawkar bowled 4 overs and expensed just 12 runs and picked up 3 wickets. He sent back Dilip Nath, Puneet Gupta and Yogendra Karki into the pavilion. 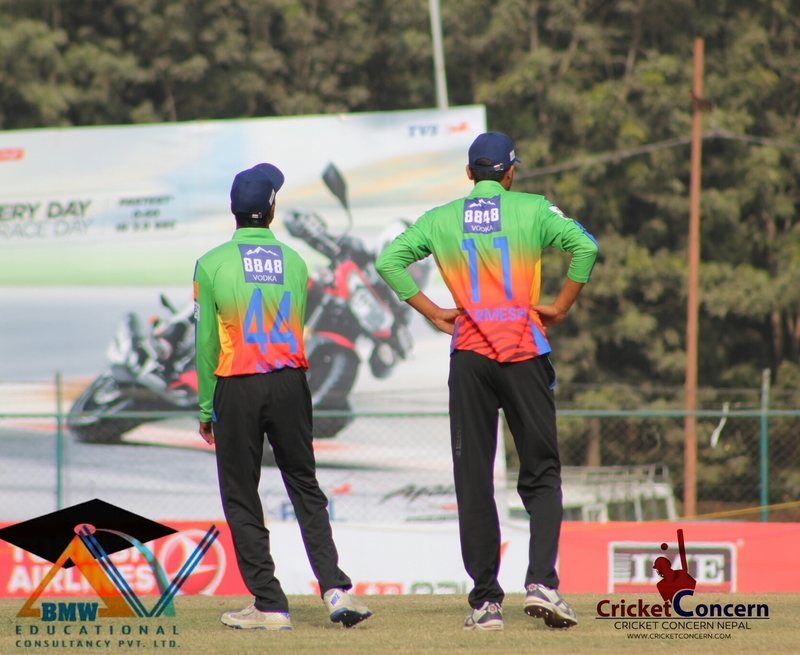 Bhuwan Karki and Hari Shankar Shah also picked up 2 wickets each. For Tigers, Dipendra Airee and Yogendra KarkI scored 15 runs each. Bhairahawa Gladiators need 88 runs to win in 120 balls in the run rate of 4.4.